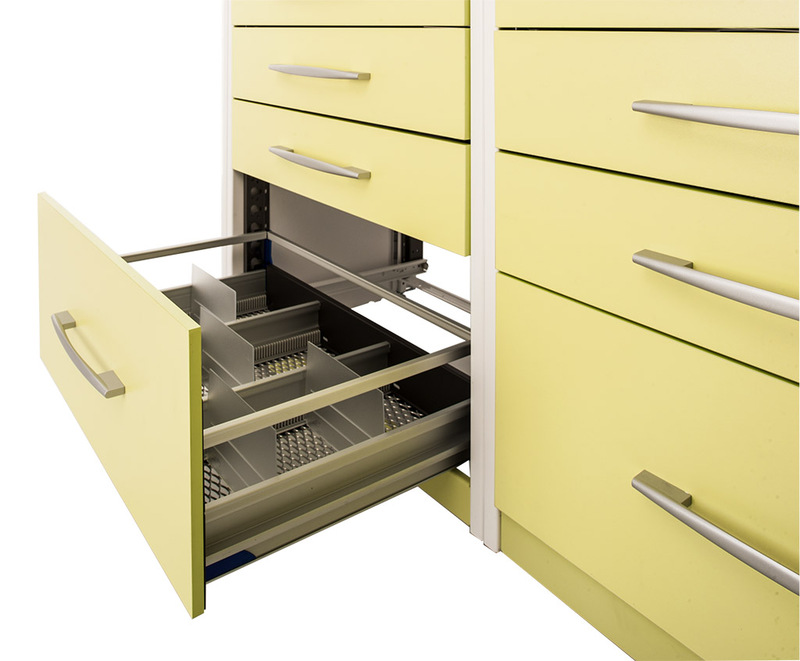 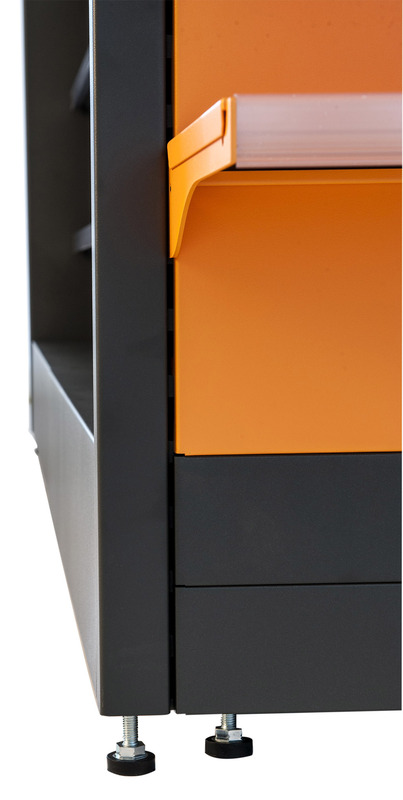 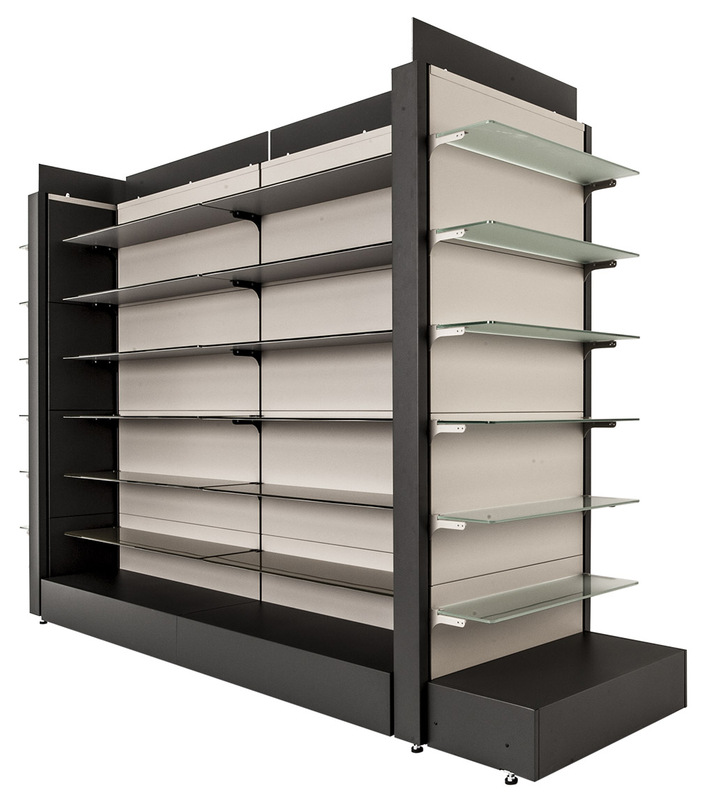 The patented design of the TN9 Upright makes the whole PHARMA CAEM system unique in terms of floor space savings, modularity, flexibility as well as offering a full range of fixing and accessory options. 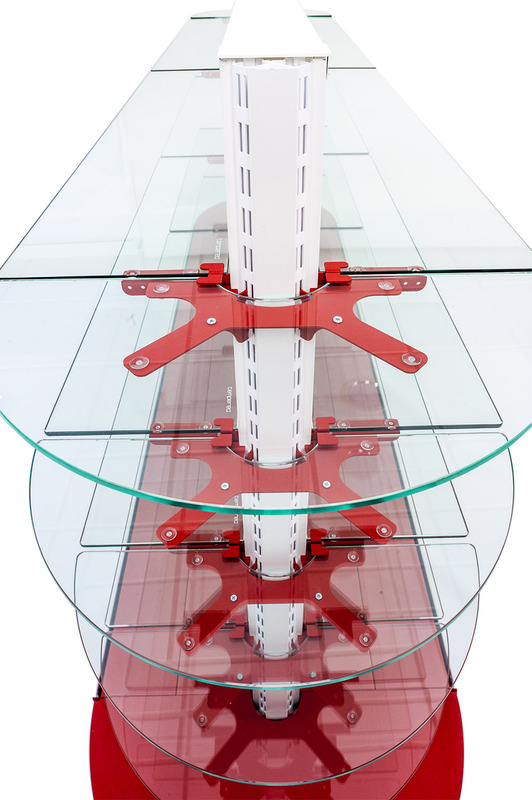 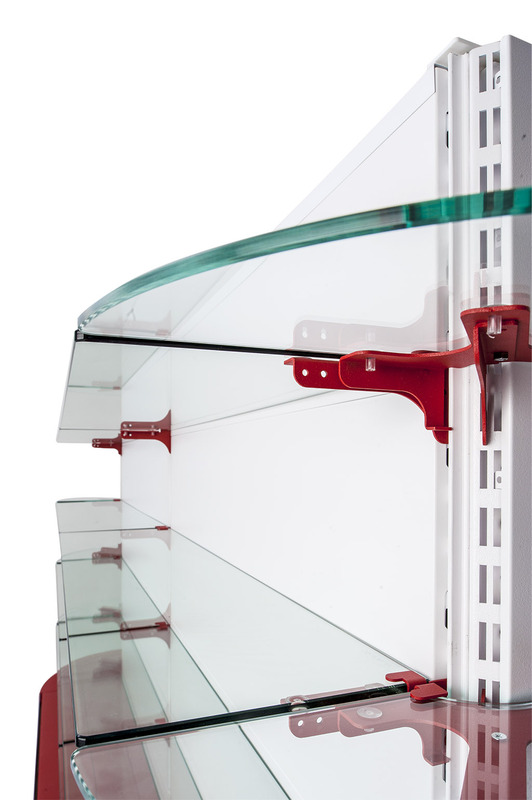 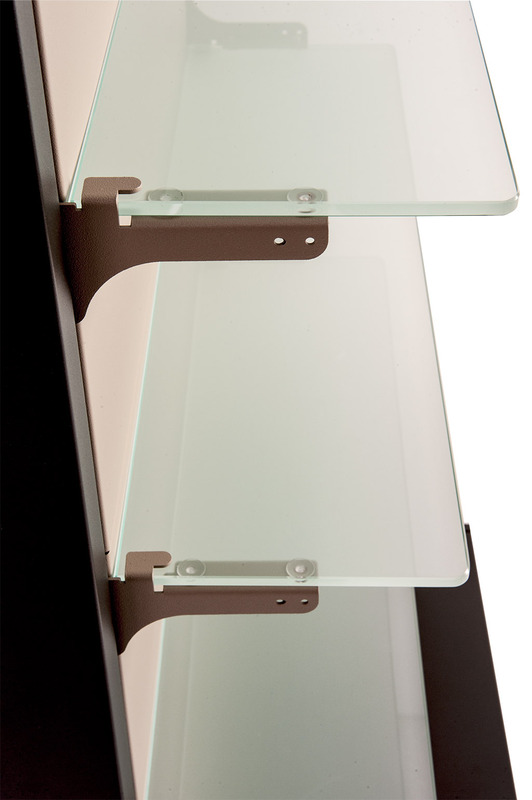 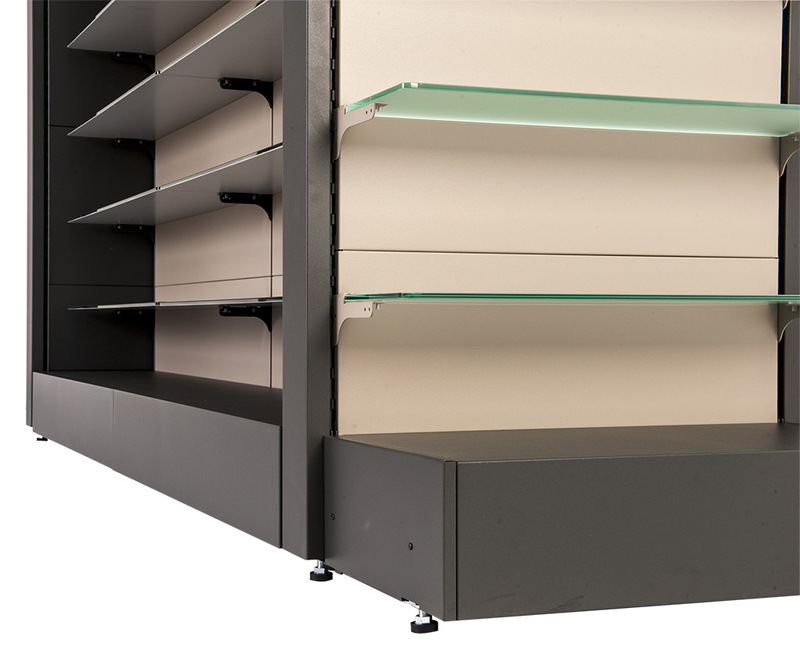 Three different heights for base shelf levels are available, together with plasticized material for the main panels, making the concept more durable. 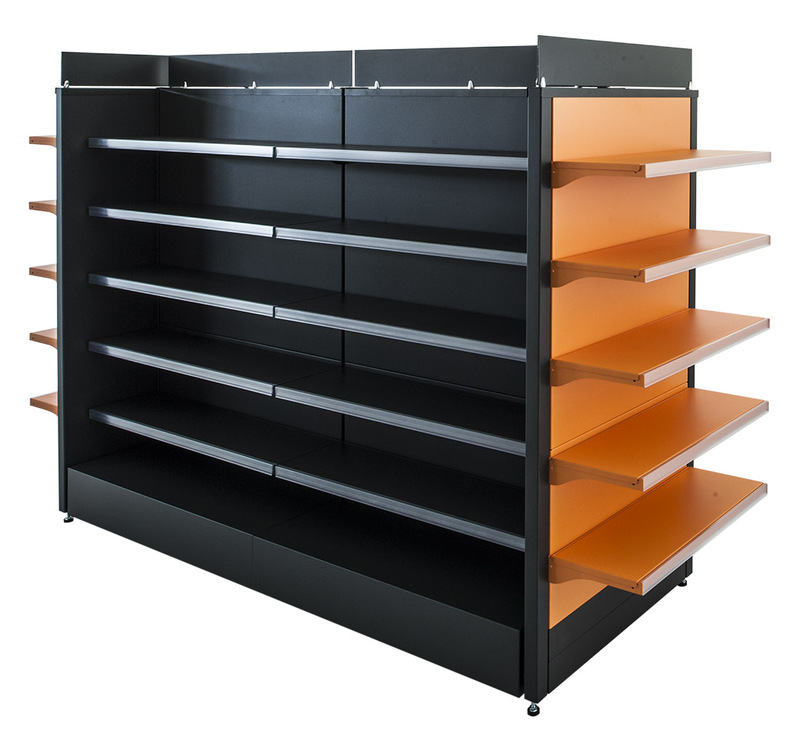 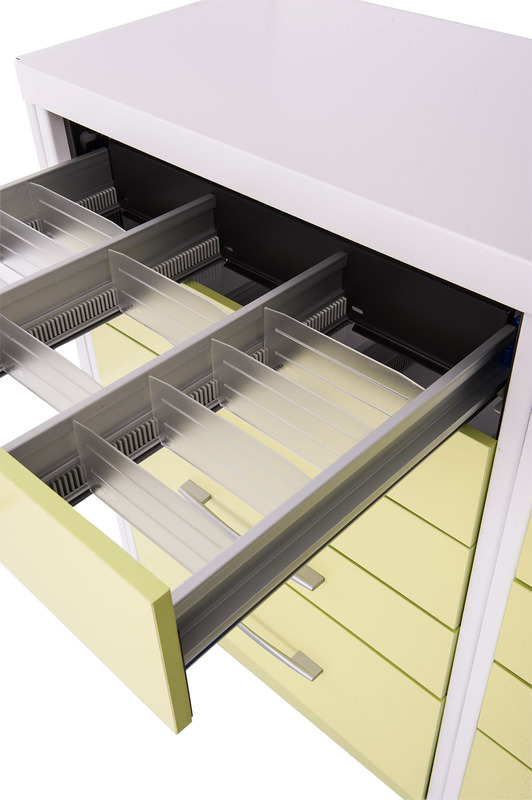 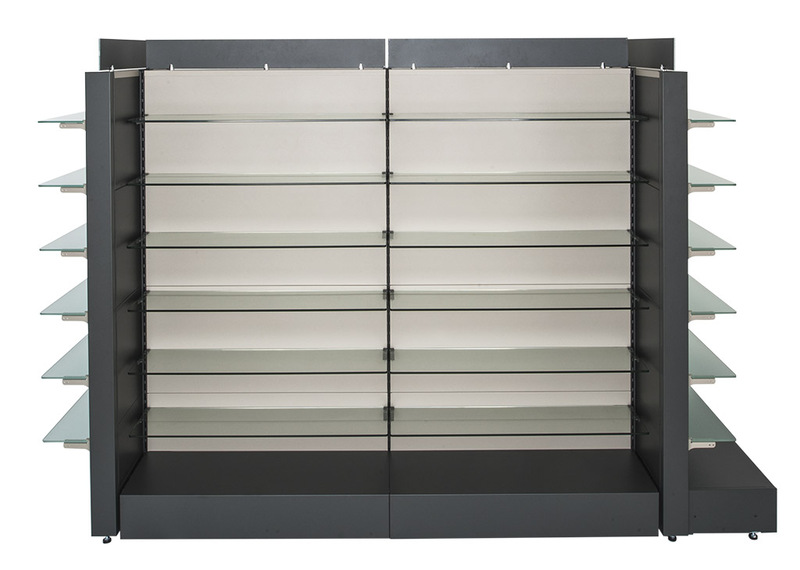 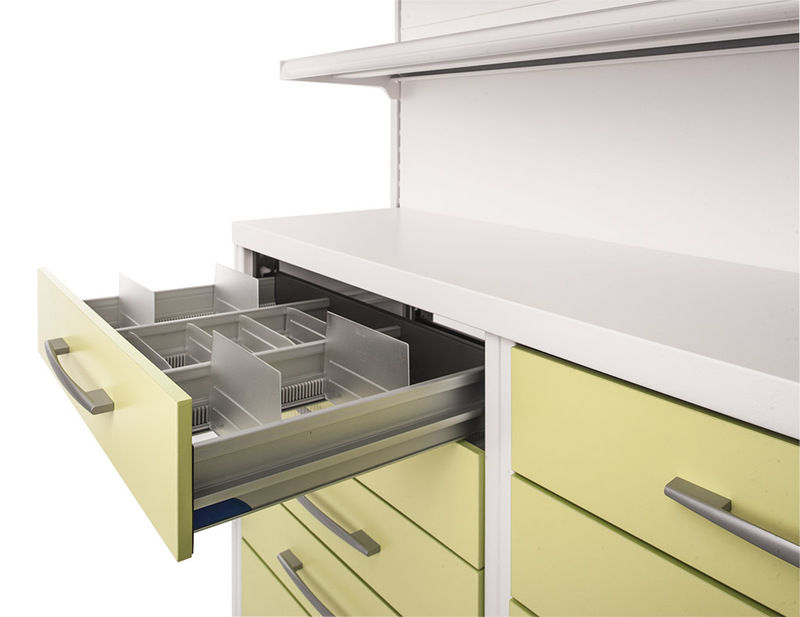 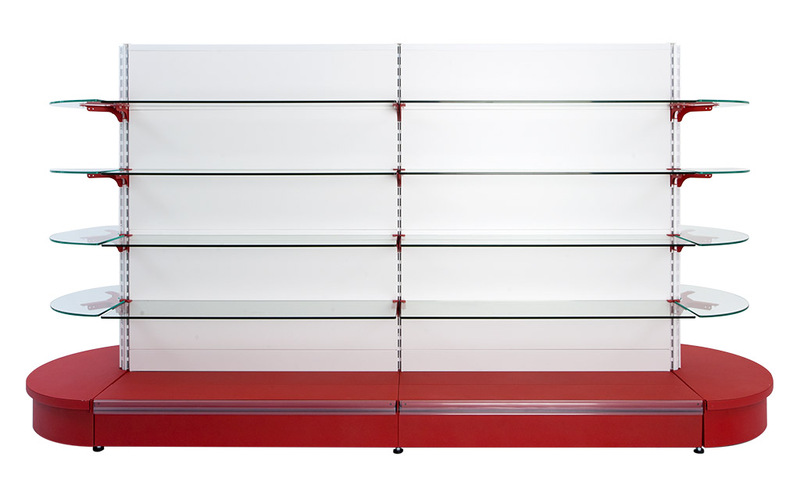 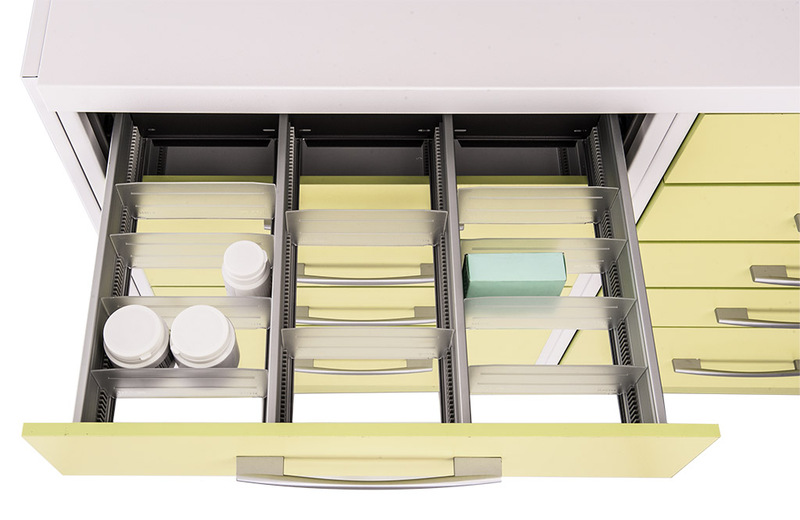 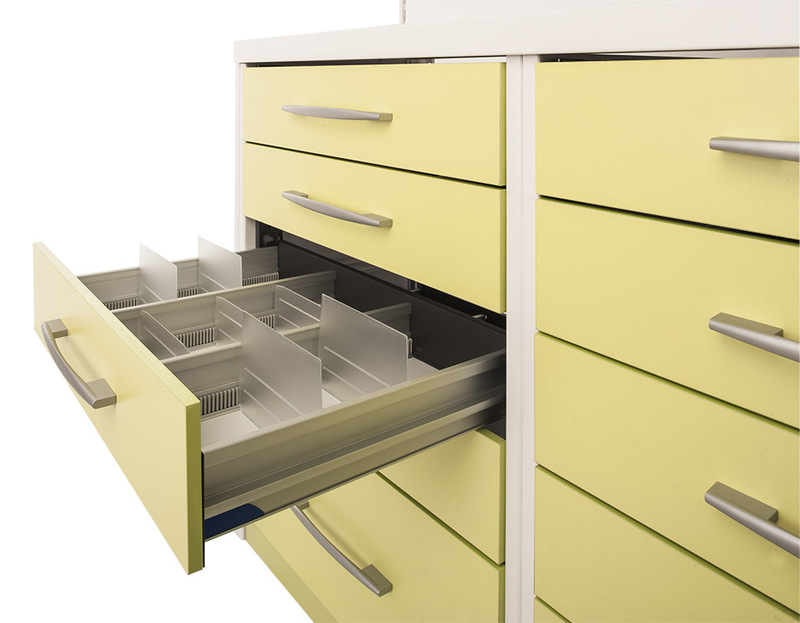 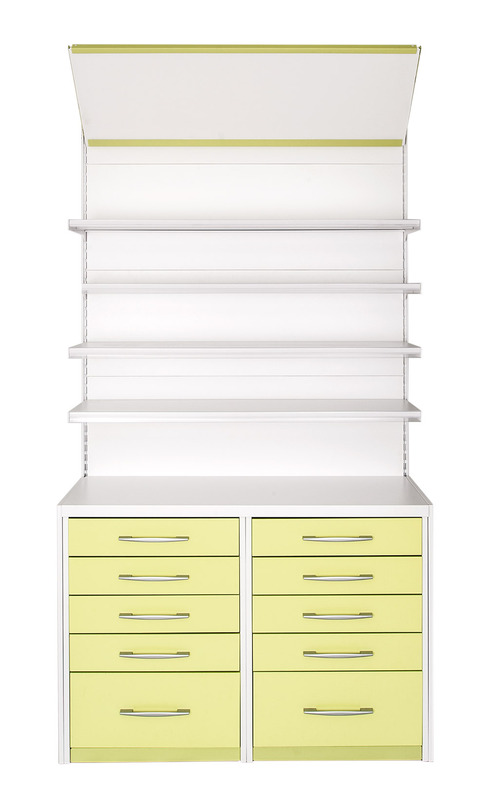 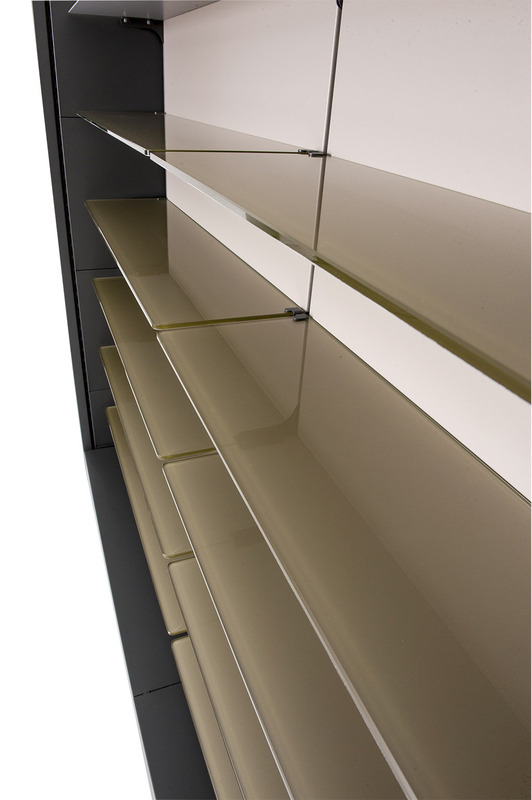 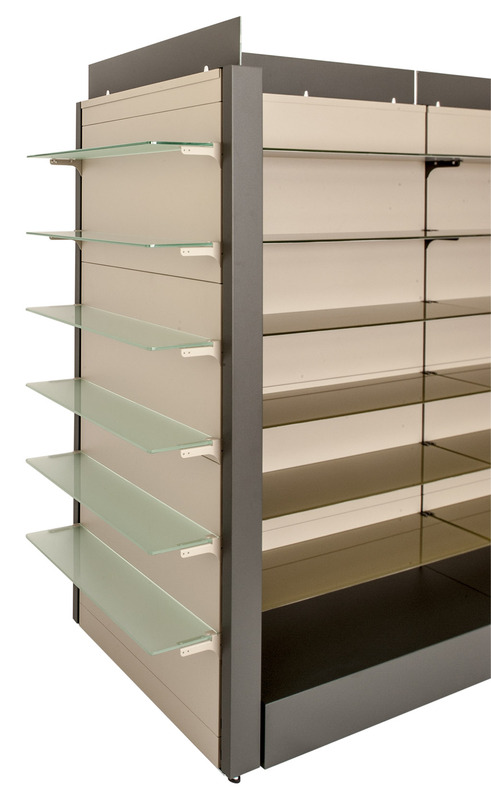 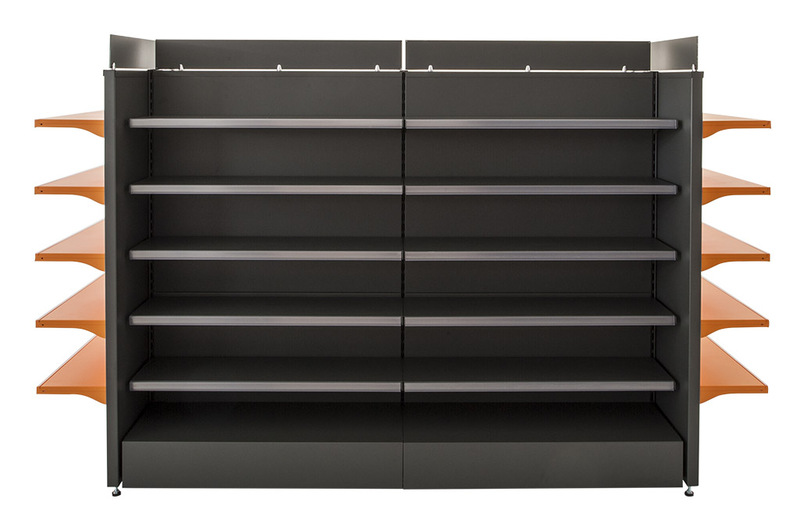 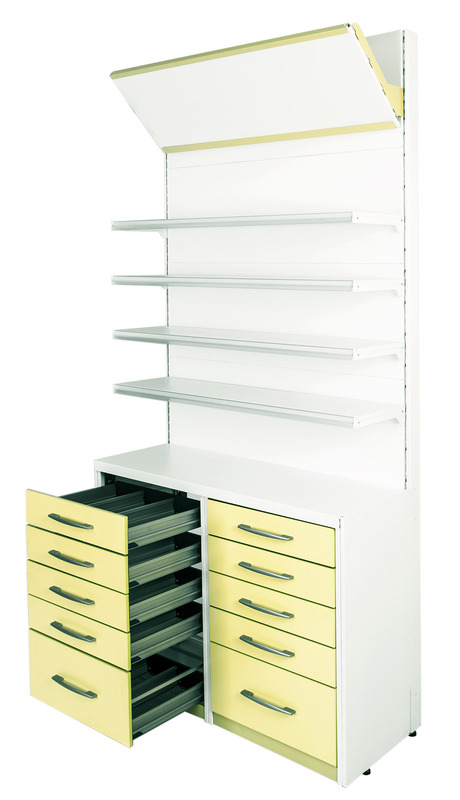 The CAEM range of shelving systems, drawers and accessories are extremely effective for pharmacy retail environment. 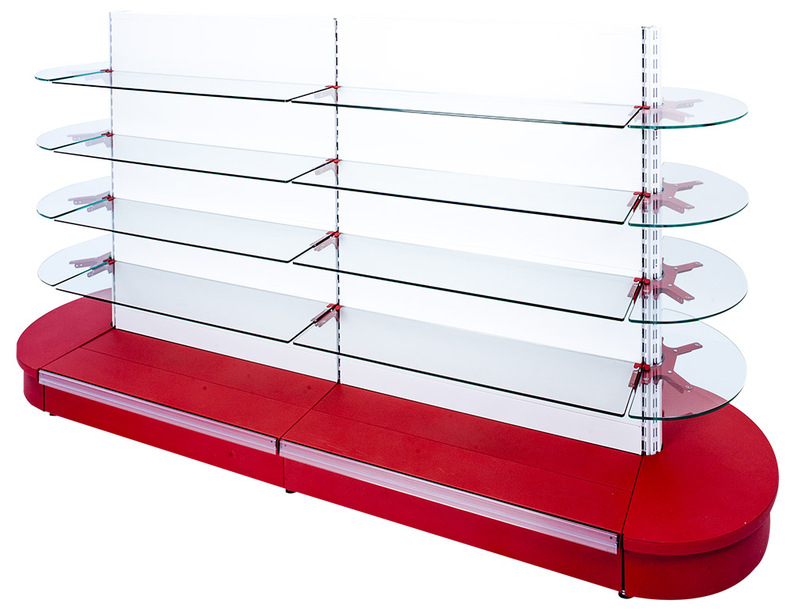 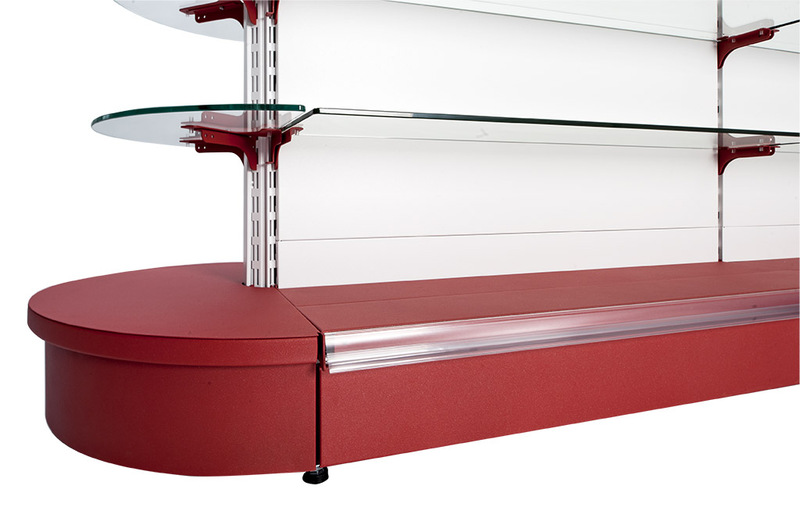 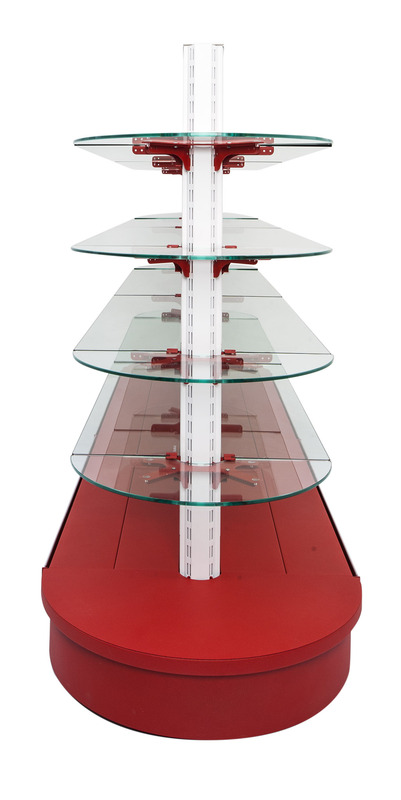 CAEM r&d developers have developed all details involved in pharmacies: from the bright white finish to the many shelf sizes available, from glass shelves of various kinds to Mobile Gondolas. 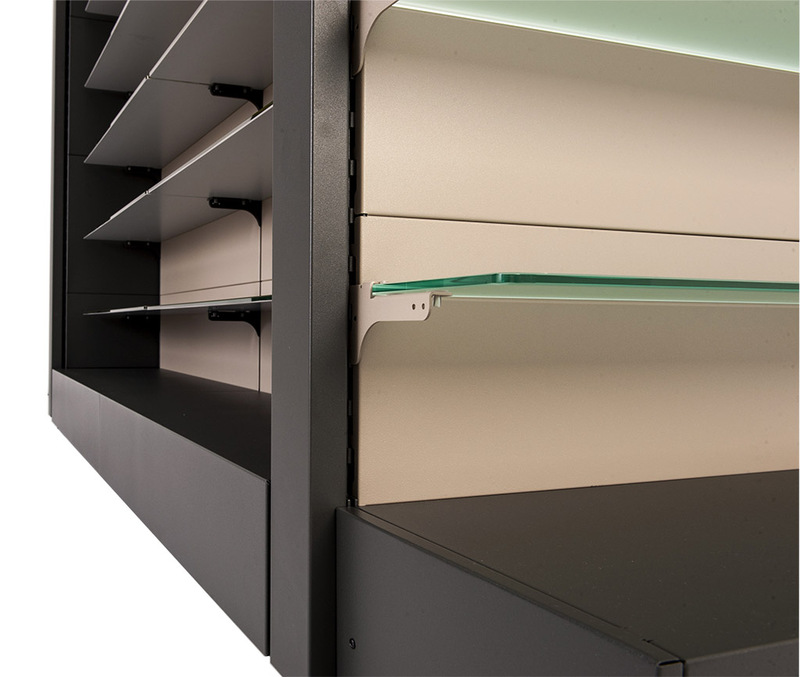 Thanks to the widest variety of configuration, CAEM systems can be now used for all needs of a pharmacy: gondolas and wall units for self-service area and also counters top and impulse buying using Top Brackets, prescription stocking with drawers and also backroom stocking. 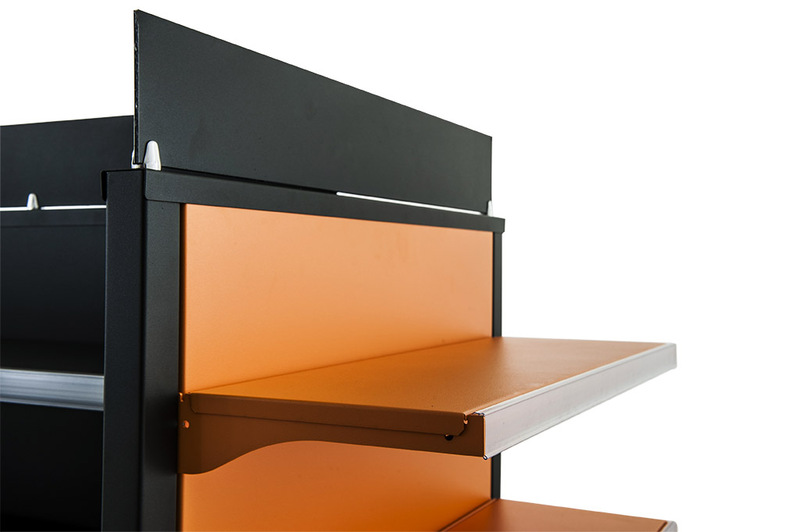 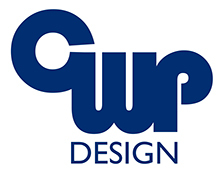 These all can be designed using the sae system, so that the whole process of inventing, design, customization, installation and future adaptation is easier and more valuable for the end user.